Abortion pill is a medication combination of Mifepristone and Misoprostol tablets used to terminate an early pregnancy. It can be had at home, and takes about 10 to 14 days to end pregnancy. Medical procedure grants complete privacy, and costs lesser than surgery. 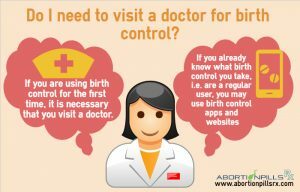 Is Abortion pills Safe at abortionpillsrx.com? All the products are safe and efficient at our website. We dispense only FDA approved drugs, and quality check each before shipping. Our website procures medications from renowned manufacturers. You are assured of wellbeing. The drugs have no long-lasting ill effects. What are Mifepristone and Misoprostol? Mifepristone and Misoprostol are both abortion pills. Mifepristone (anti-progesterone) cause fetus detachment from uterine lining, so the pregnancy does not develop. Misoprostol (prostaglandin analogue) is a womb contracting medication, which expels out the pregnancy remains from uterus. How to take the Medicines? Take Mifepristone 200mg with water on day one. Administer the pill orally. Put Misoprostol 4 tablets under tongue for dissolving. Each tablet is of 200mcg. Consume contents later to half an hour. Who can take Abortion Pill? Women between 4 and 10 weeks pregnant, females 18 year old or above can take abortion pill. Those with heart/kidney/adrenal gland/liver/diabetes/blood pressure/uterus complication, allergic to the medicines, ectopic pregnant, must not use the medical pregnancy termination method. How Many Pills I have to take? For pregnancies under 10 weeks a 200mg pill of 2 Mifepristone and 8 Misoprostol tablets (200mcg each) are sufficient to cause an abortion. Sometimes, the woman has to take additional 4 Misoprostol pills in case bleeding do not start in 4 hours from first dose of Misoprostol. MTP Kit or medical termination pregnancy kit, is a combination medication kit of 1 Mifepristone tablet (200mg), and 4 Misoprostol tablets (200mcg each), used step-by-step in terminating an early pregnancy at home. How many MTP Kit I have to take? You can take one MTP Kit to terminate 6 weeks pregnancy. If more than 6 weeks pregnant than you have to take 2 mtp kit. Which is the best pill to terminate the pregnancy? Every product on the website is efficient to terminate pregnancy. However, we advise you take a combination of Mifepristone (Mifeprex, RU486, or Korlym), with Misoprostol (Cytotec) for a foolproof pregnancy termination. You can also buy an MTP Kit abortion pills. When Will the Order Get Delivered? We normally ship the products within few minutes (express and overnight shipping) or after 24 hours from the booking confirmation. It takes around 12 to 15 business days to reach the items to the customer in special kitage. Will the Products Come in Discreet Pack? We use discreet kiting material for all the products. 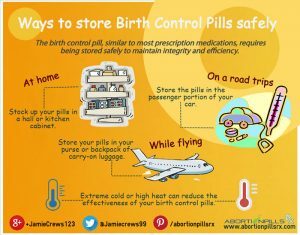 When the item is delivered to doorstep, no one can make out it contains abortion pills or medicines, nor are the medicines damaged. Our website promises tough discreet kitage, retaining the medication quality. What it will Show in my Bank Statement? Your bank statement will not reflect any detail of the website or abortionpillsrx.com. You can buy without any worries. We will upkeep your privacy. 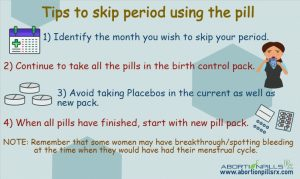 When to take Pregnancy Test after Abortion Pill? A woman comes to know the abortion is done when side effects cease, and bleeding /cramps reduce. But, for final confirmation, you need to see a doctor after 14 days of the regimen for a blood pregnancy test or ultrasound. These tests clarify if pregnancy is terminated or not. Will I Face Any Health Issues After Medical Abortion? There are no problems after a successful medical abortion. It is untrue that abortion pill causes risks to future pregnancy, birth defects, breast cancer, or any other health issues. We email you a receipt of the order and tracking code to your registered email address. Use the code for tracking the order. If any queries, then get in touch with our customer care. Our customer care service is reachable 24*7. Get in touch with us via live chat support or email us at support@abortionpillsrx.com. We will connect with you at the soonest.